Spirit Animals are thought to go back thousands of years to indigenous and shamanic beliefs, sometimes they are also referred to as Totem Animals or Power Animals. Spirit Animals act very much like Spirit Guides or Guardian Angels, in that they can have a significant impact on our day-to-day lives, and get us through the good and bad times. Each person is thought to have at least one Spirit Animal looking over them and guiding them on life’s journey, but some maybe lucky to have more than one animal spirit. It’s possible also that different animals guide you at different stages of your life, depending on what sort of support and help you need at that time. It’s possible that you have not yet found your Spirit Animal, but don’t worry when the time is right, they will reveal themselves to you. Whether that is through sounds, thoughts or even through your dreams. Dreaming about a certain animal, is one key way that important messages are delivered to you. If you take time to heed these messages and apply them to your own life situation, you will be rewarded with life changing outcomes. Spirit Animals are there to provide meaning to our lives, especially at times when we are feeling low on wisdom and are stuck in situations we don’t know how to get out of. They bring forth the power we hold within and provide guidance on how to use it to best effect. 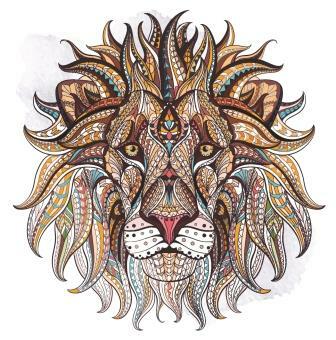 In some cases, you may find that you harness the characteristics of your Spirit Animal, and that is what will get you through the rough patch, for example with a lion totem, you might show bravery and stand your ground and protect your family. If your animal totem was a unicorn, you might feel liberated by following a more unique path, by showing others it’s okay to be who you are, even if that is different to others. You may already have an inkling of certain animals that you have a special affinity with, these may very well be your Spirit Animal. If you are not sure, then you can try and discover which creature is your Power Animal. Explore nature, and see animals wherever possible in the wild. Meditate on your possible Animal Spirit and see what comes to mind. Have a reading with a psychic especially tuned to Spirit Animals and see if they can see your guardian animal. Learn about the different Animal Totems, and see what characteristics truly speak to your soul. When you are next struggling with a dilemma, why not call on your Spirit Animal for guidance? Try and harness the power and the strength that your Animal Spirit embodies. Don’t be afraid to let go of old habits and embrace a new way of doing things. Take notice of when you feel the Spirit Animal’s presence, when they are placed in your path, accept there is a reason – take note of what the universe is trying to advise you. Embrace the hope, love and comfort that Totem Animals can provide.